It seems that over the past couple of months, babies have been everywhere. I have many friends having babies, friends who are pregnant, and friends who I have diagnosed with baby fever. This is quite evident at my gym at CrossFit405. Several of our female coaches, and the wives of our male coaches are pregnant (I think something is in the water, which is why I fill up my water bottle at home before I head to the gym 😉 ). 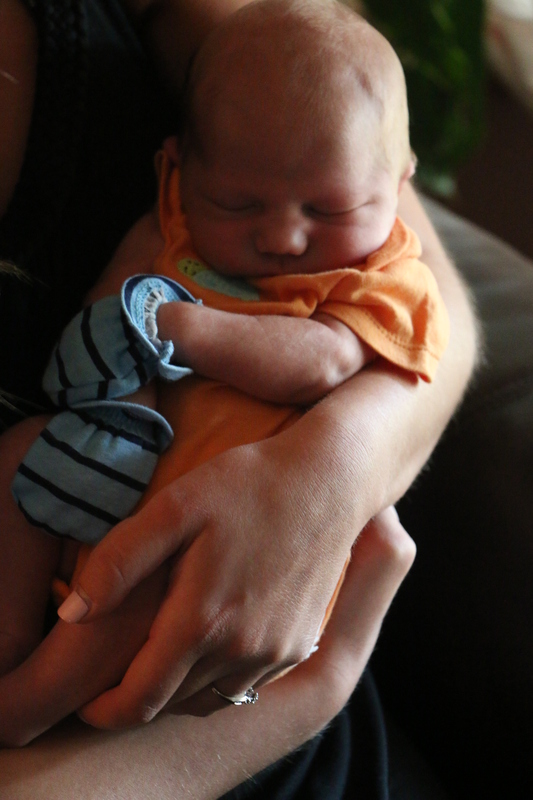 The first CrossFit405 bundle of joy to arrive was the son of Matthew and Lori Spaid, Gabriel River Spaid (Matthew is one of our coaches at CrossFit405)! It’s their first child, and they are completely in love with him (but who wouldn’t be, with such a stinkin’ cute baby?). Several friends from my gym have volunteered to help out the Spaids by providing home cooked meals during the first couple of weeks while they adjust to parenthood. The Spaids were open to a variety of meal ideas, but requested that the meals be gluten-free, and have tons of meat and veggies. 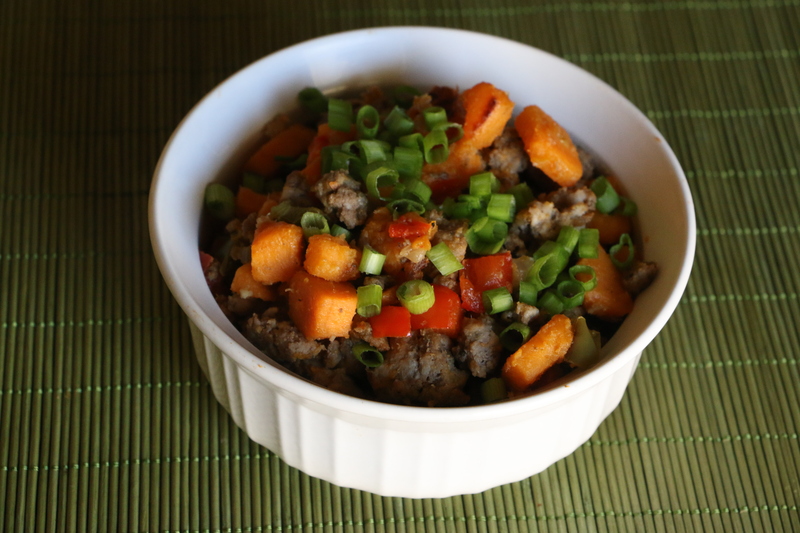 When I learned of the type of meals they would enjoy, I knew just the meal to prepare, my Sausage Sweet Potato Hash! Loaded with tons of protein and veggies, this meal is a clean and healthy dish with loads of flavor. 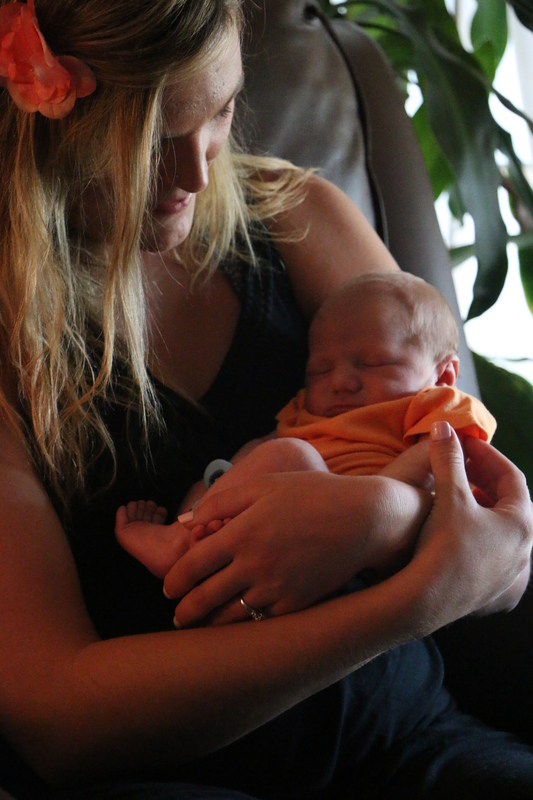 I brought the meal over to the Spaids on Labor Day, and got to spend time with Lori and her adorable son. Now I’m excited to share this dish with you guys! This meal is especially great for those off you who are doing a Paleo Challenge, such as the Whole30 or the Lurong Challenge, due to its simplicity, and minimally proceeded ingredients. I hope you guys enjoy! In a large bowl, combine the ground beef, ground pork, sage, fennel seeds, sea salt, pepper, thyme, garlic cloves, ground black pepper, and red pepper flakes (if using). In a large skillet, heat a teaspoon of cooking fat over medium heat (for cooking fat, you can use lard, butter, coconut oil, tallow, etc.). Once the fat is heated through, add the chopped onion and cook until the onion is translucent, 8-10 minutes. Once the onion is translucent, added the meat to the pan, and brown the meat over medium heat until cooked through, approximately 15-20 minutes. Drain excess fat once the meat has been cooked. In a large skillet, heat 2 tablespoons of cooking fat over medium heat. Once the oil has been heated, add the sweet potatoes, red bell peppers and green bell peppers to the large skillet. Cook the vegetables over medium to medium-low heat, stirring periodically until the vegetables are cooked through, 40-45 minutes. Once the vegetables are done cooking, salt and pepper to taste. After the vegetables have been cooked, pour the sausage and veggie mixture into a large bowl, and stir to combine. Sprinkle thinly sliced scallions on top of the sausage sweet potato has before serving. 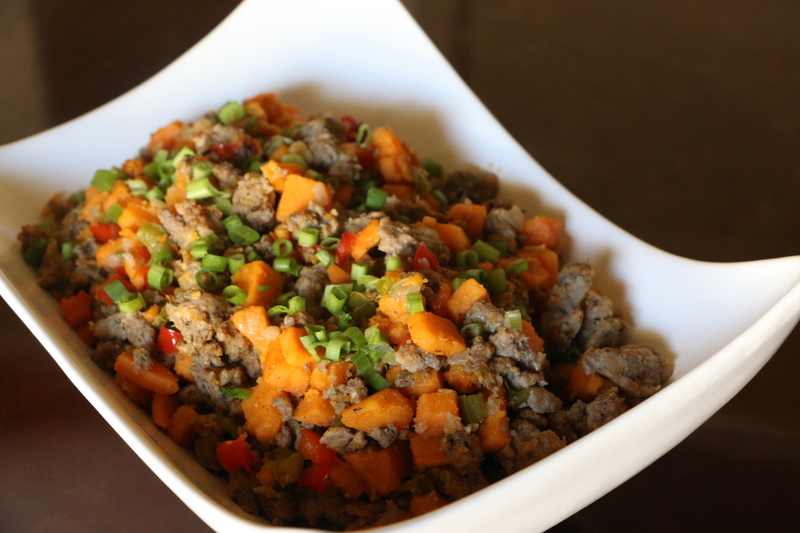 Tags: clean eating, Gluten-Free, grain-free, Lurong Challenge, paleo, Primal, sausage, sweet potato hash, Whiole30 | Permalink.